FAI chief executive John Delaney says he "acted in good faith" when he provided a bridging loan to his employer in 2017. Mr Delaney has confirmed he gave the association €100,000 when they were met with a short-term, cash-flow issue in April of that year. The money was repaid to the CEO two months later. Details of the transaction were carried in the 'Sunday Times' yesterday after a High Court bid to block publication of the story failed. 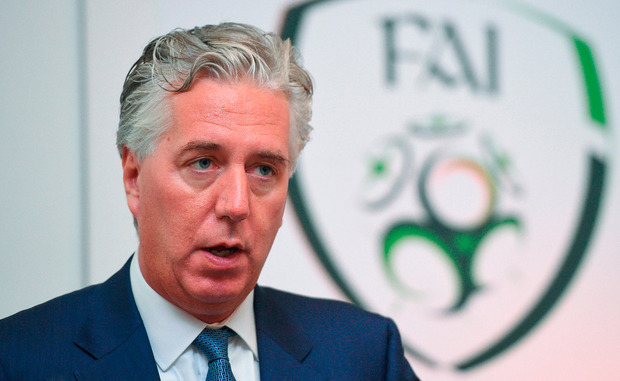 The FAI released a statement on Saturday evening on behalf of Mr Delaney where he confirmed it was related to "a very short-term, cash-flow issue". Last night, the FAI released a fresh statement which initially detailed how the association was in the process of reviewing its governance structures - an external consultant will present their findings in April. It then addressed the subject of the loan with Mr Delaney asserting he had "acted in the best interests of the association at a time when immediate funding was needed". "This loan had no impact on the full financial position or performance of the association for the year. It was a matter of timing," he said. "I acted in good faith for the benefit of the FAI and will continue to do so." Sam Dean Let us start with a question. What do Middlesbrough, Fulham, Queens Park Rangers and Cardiff City have in common?